The mattress was hard.comfortable enough to sleep on. Room equipped with a refrigerator, microwave, dishwasher and a stove. Good location near pedestrian zone and a shopping mall. Practical and good value for the money. Staff were friendly, maintenance was on the ball with needs within the hotel. It was close to everything. The restaurant was lovely as were the staff that worked there. Loved that we had a mini laundry in our room, we didn't use it but knowing it was there had our stay been longer was a bonus. Beds were comfy. Bath was a bonus. The location was great. The staff were very helpful. The kitchen had everything you needed for an extended stay. Location was excellent! So close to everything and really easy to find. Staff were very friendly. The gym was awesome and I really appreciated the different types of equipment. The pool was also fantastic. Location location location. Clean sheets. Front desk staff available and professional. The beds are definitely not like a cloud..... it's just standard. Good location, in middle of everything. The reception staff memeber that was on when I arrived was so friendly and welcoming. She was very busy but super friendly when apologising for the wait. She explained the hotel and how to get in and out and how the lifts work. I asked where the local supermarket was and she gave exact directions and was just so helpful, she is an asset to your company. The location was great - very handy to lots of great cafes for breakfast, walking distance to movies and the Canberra Centre. Short taxi trips to all the attractions. 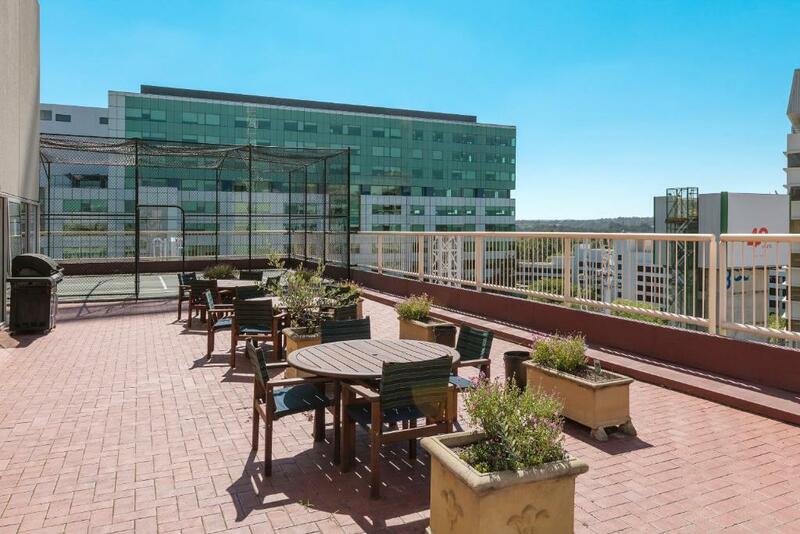 Waldorf Canberra Apartment Hotel This rating is a reflection of how the property compares to the industry standard when it comes to price, facilities and services available. It's based on a self-evaluation by the property. Use this rating to help choose your stay! All air-conditioned accommodations features a dining setting, a lounge area and a flat-screen TV. Each apartment features a shower, private bathrooms also come with a bath and a hairdryer. Some of the properties have a desk. Guests enjoy 250MB of free WiFi per day. The Waldorf Apartment Hotel Canberra is 4 minutes' drive from Questacon. It is 12 drive minutes' from Canberra Hospital. Canberra Airport is 10 minutes' drive away. 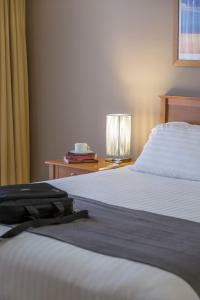 When would you like to stay at Waldorf Canberra Apartment Hotel? This air conditioned studio features a fully equipped kitchen and laundry facilities. Private parking is available on site (reservation is not possible) and costs AUD 15 per day. This air conditioned apartment features a fully equipped kitchen and laundry facilities. This air conditioned apartment features a fully equipped kitchen and laundry facilities. Relax in front of the flat-screen TV in the living room or dine at the table setting for 6. This air conditioned apartment features a separate office with a desk, a fully equipped kitchen and laundry facilities. 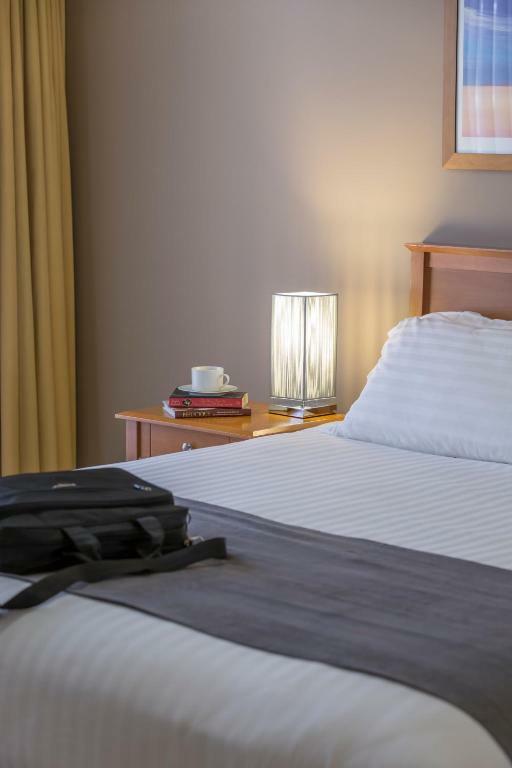 Waldorf Canberra Apartment Hotel is centrally located in Canberra’s CBD and provides quality 4.5 star accommodation for both the corporate and leisure traveller. We have a variety of apartments on offer including Studio Apartments, One Bedroom Apartments, One Bedroom + Office Apartments and Two Bedroom Apartments, all available for either short or long term stays. We also have a wide range of facilities on offer, including two barbeque areas, a guest lounge, indoor heated lap pool, spa, and a half size tennis court. All of our guests are welcome to use these facilities. With three conferencing rooms on site the Waldorf Canberra Apartment Hotel can cater for small or large meetings. Our on site restaurant, the Waldorf on London, provides quality modern cuisine for meetings, functions, outside catering, hotel guests and dine in guests. House Rules Waldorf Canberra Apartment Hotel takes special requests – add in the next step! Waldorf Canberra Apartment Hotel accepts these cards and reserves the right to temporarily hold an amount prior to arrival. Please note that there is a construction site next door to Waldorf Canberra Apartment Hotel and construction works are being carried out from 06:00 until 17:00 Monday to Saturday. Please note that due to recent road closures, the property parking lot cannot be accessed from Akuna Street. You can only access the parking lot from Rabaul Lane via Nangari Street. Please note that free WiFi is limited to 250MB per day. Additional WiFi can be purchased for a charge. A damage deposit of AUD 200 is required upon arrival – that's about 143.61USD. This deposit is fully refundable at check-out as long as there's been no damage to the property. The balcony turned out to be a barren courtyard covered in weeds with no outdoor table or seats. It had a lattice fence and behind that was a common walkway. So not a space you would want to use. The curtains needed to be kept drawn for privacy from the common walkway. We only stayed one night so no big issue, but I wouldn’t book that room for a longer stay. Parking was very limited and was not included in the price of the room. Street parking was also very limited, as this hotel is situated in the CBD. Hoons driving past, revving engines and yelling out of the windows late on Saturday night kept us awake. Very close to shops/restaurants & CBD, Our room was at the end of the hallway, so nobody could disturb us going past. Quiet apartments. Balcony was nice, but overlooked construction site. The central location was fantastic, easily accessible and good car park facilities. Close to main attractions & city shopping . Appartments were fully equipped every thing we needed . Having to pay $15 a day for parking . The venue was right across the road from the centre of Canberra with many eating places, cinemas, shops etc within easy walking distance. Bed was comfortable and the rooms able to be made very dark with the curtains. Construction was going on right outside our window, went on all afternoon and started again at 7am. We were not pre warned about this or we would not have stayed here. Bed was so old and springy, pillows were flat. Staff were unhelpful. Mould in shower, there was dirty marks (faeces??) on the wall in the bathroom next to the toilet.